Everyone knows A Christmas Carol - Scrooge, the three Ghosts of Christmas, and dear Tiny Tim. But did you know that Charles Dickens wrote four more Christmas stories after a Christmas Carol? I actually only learned this yesterday, and promptly found this collection of all Dickens' Christmas stories. The Cricket on the Hearth (1845). The Battle of Life (1846). The Haunted Man and the Ghost (1848). Based on the reviews on Amazon, I think the print edition may be the better choice. Several readers complain that the Kindle edition for this book uses tiny fonts that are hard to read. A Christmas Carol and Other Christmas Books is available in Paperback and Kindle on Amazon. 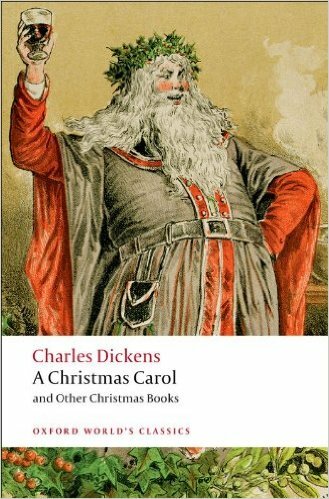 Reading or watching Charles Dickens' well-loved classic is a great way to get into the Christmas spirit. There have been so many screen adaptations of A Christmas Carol, and it's hard to choose which one to watch first. Some of the best include the 1951 film starring Alastair Sim, the 1984 film starring George C. Scott, and my personal favorite, the 1999 film starring Patrick Stewart. All these are available at Amazon for free as separate volumes. On kindle? Good to know, thanks! Do you have a kindle reader or a regular kindle? I ask because the reader has a feature that enlarges the print and changes the space between lines. I don't read much on the Fire because the light from the screen is hard on my eyes. Goodystore (ebay), which is Unclaimed Baggage and Freight in the world, has deals. I'm old and poor. I need deals. I have an older kindle fire (not reader), but I think the kindle app on it allows for font change too. I don't know if there are kindle books that don't let it. Actually if you have a computer or smart phone you can read kindle books on it too via their app. And calibre is free if you want to convert ebooks into other ebook formats.